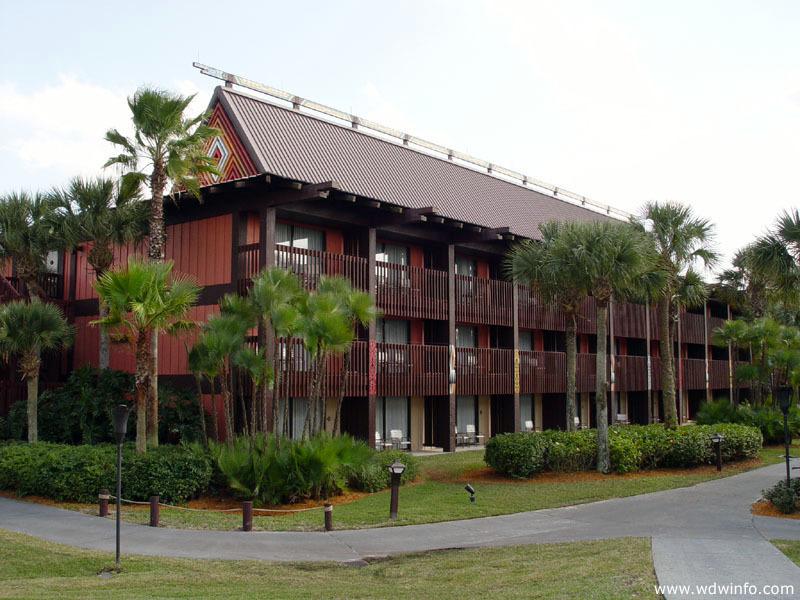 The Polynesian is one of the original resorts Disney World opened in 1971. 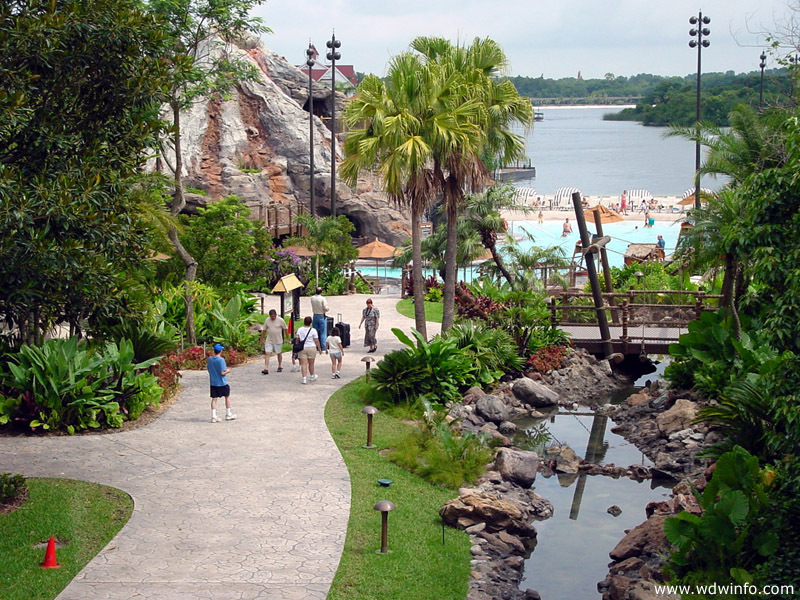 The tropical theme is timeless and it remains one of Disney’s most popular destinations. The Polynesian Resort is located on the beautiful Seven Seas Lagoon. This prized locale makes it perfect for viewing the Magic Kingdom fireworks, the nightly Electrical Water Pageant or for simply gazing at Cinderella’s Castle. When you arrive at the Polynesian, you’ll head to the Great Ceremonial House, the resort’s main reception area. This bit of paradise has a 3 story high atrium with cascading waterfalls and 75 varieties of tropical and subtropical plants. 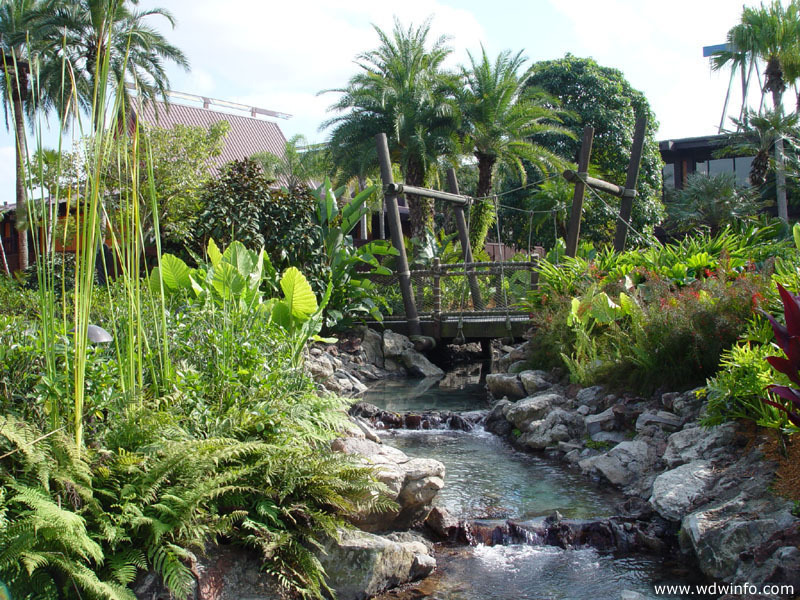 The theming continues throughout the grounds of the resort with white sand beaches, torch lit walkways, lush landscaping, waterfalls, koi ponds and longhouses fashioned after South Pacific lodges. The guest rooms are located in outbuildings with such exotic names as Tonga, Aotearoa, Fiji, Tuvalu, Hawaii, Samoa, Niue, Rarotonga, Tokelau, Tahiti, and Rapa Nui. For dining, you can choose one of two full serve restaurants, a counter serve spot or you can enjoy the Polynesian Luau dinner show. The volcano themed pool at the Polynesian is the perfect spot to cool off or you can head to the marina and rent a watercraft to enhance your stay. Another appeal of the Polynesian Resort is its location on the Monorail track. Within minutes you’ll be whisked to Disney’s Magic Kingdom. If being transported to a tropical isle is on your wishlist, the Polynesian Resort is the perfect choice. There are currently 29 reviews for Polynesian Resort. Read Full Polynesian Resort Reviews! You can also search for Disney’s Polynesian Resort specific threads! Babysitting/Childcare Services: The Never Land Club is open from 4:00 p.m. to midnight and offers entertainment, dining and fun for children ages 4 to 12.